Hi Lindy’s fans, it’s Lizzy with you today! I want to share a few tips on how I organize my sprays, based on a YouTube video I saw a while ago organizing inks. I normally sort them by color, but in this particular case I wanted to show how many different colors look together. 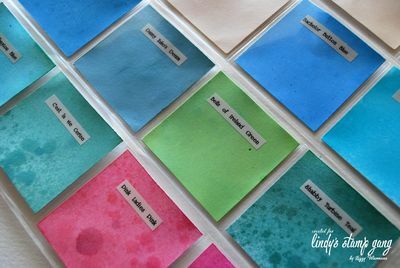 For each color I spray one manila tag, one 2″ x 2″ white cardstock square (to put on the plastic sheet which is a coin organizer), 2 circles of the same papers and one white round sticker for the bottle. As you can see, I also label each color using a labeler but you can just write the color on your square if you prefer. 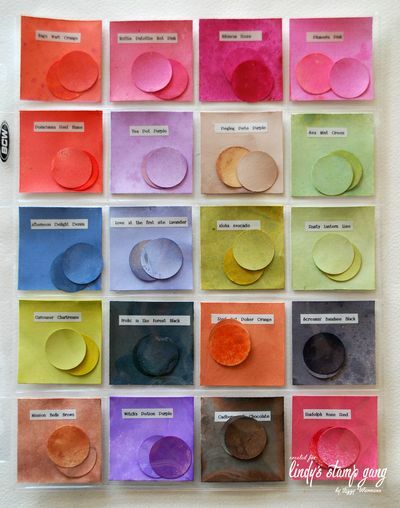 I find the little circles are easier to manage when I want to combine colors. 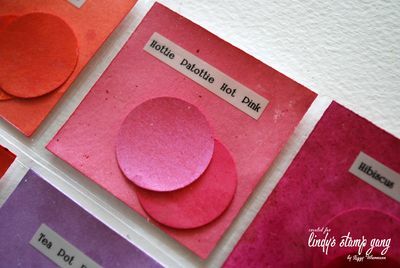 The reason I spray a manila tag is, that the color looks different on manila than over white, and I use lots of tags in my projects, so its convenient for me to have a swatch of the colors on that material as well. 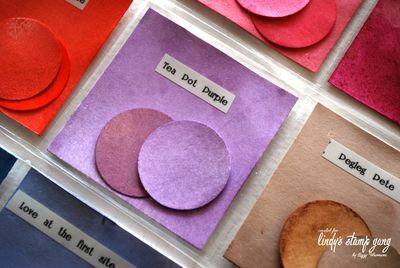 If for example, you use a lot of kraft paper in your projects, you could do a similar thing, but instead of manila, use kraft paper, and you’ll have easy access to how your colors look on your most favorite materials to use while creating. 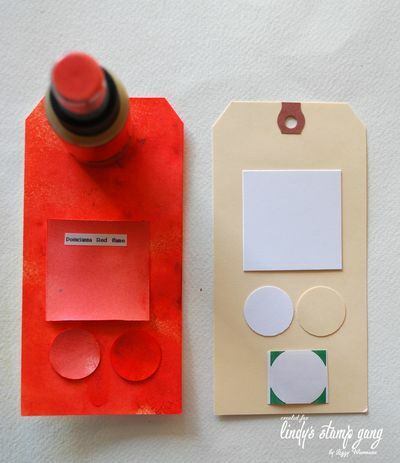 I use a coin organizer sheet, and round mailing seals, manila tags, a label maker, and white cardstock as my materials. You can find all those items at your local office supply store and/or online. Super fast and easy way to inventory the colors you have. If you have a large collection of colors, it might take a bit of time to get all the swatches done, but all the time you’ll save after having everything organized, is so worth the effort! 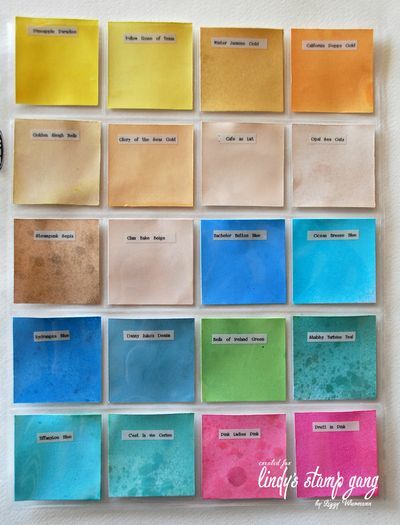 I hope you find my tips useful for your own product organizing, I know it makes finding the perfect color I need for a project so much easier! So clever Lizzy! This would really speed things up and prevent colour disasters! She used round sticky labels that already come with the adhesive. You can find them at your local office supply store :) Glue dots will also be a good option to glue cardstock swatches on the lids as well. This is a great idea! Thank you so much!! Very helpful!! I love this idea Lizzy!!! I’m so going to incorporate it!